If you are in need of professional bathroom remodeling services for your home in the Minneapolis, Minnesota, area, turn to the experts at U.S. Patio Systems and Home Remodeling. We have spent years helping homeowners update their homes, bringing their visions to life. 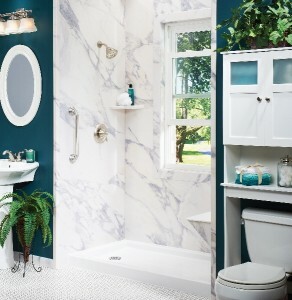 We even offer specialized products like walk-in tubs from Safe Step Walk-In Tub Co., which are spa-like tubs with a plethora of safety features perfect for those who are worried about slipping while getting into and out of the shower. They also come with air and water jet therapy systems and heated seats to ensure every bath is relaxing and enjoyable. Additionally, we offer beautiful, functional accessories and fixtures than can be installed during the remodeling process. Whether you need recessed soap dishes or safety grab bars, we can help. For more information on the bathroom remodeling services we offer to homeowners in the Minneapolis, MN, area, contact U.S. Patio Systems and Home Remodeling today.